Evelyn, who loved her family and friends deeply, and gave herself completely to a cause she cared so much about, entered into the presence of Christ, the one who defied, defeated and destroyed death, on June 3. She was 101. Evelyn stepped into the pages of Wycliffe Bible Translators history in 1935 – just a year after William Cameron Townsend conducted his very first training camp for Bible translators. The daughter of Townsend’s sister, she was a student at the University of California at Los Angeles (UCLA) when she accepted his invitation to go to Mexico for a year. He was establishing his new Bible translation work and needed someone to help manage the Townsend household. When he set out for Mexico that summer, Townsend also took along five graduates of his training camp, each of them intent on translating Scripture for a different minority language. Three years later, in November 1938, Evelyn married one of those young men – Kenneth L. Pike – and together they made a most remarkable impact on the world of linguistics and Bible translation. By the time they married, Kenneth was studying a Mixtec language in southern Mexico, a very difficult tonal language, and simultaneously working on a degree in linguistics at the University of Michigan. His goal was to learn more about linguistics so that Bible translators would have the tools they needed to understand how unwritten languages work, devise alphabets, and translate accurately and clearly. As newlyweds, Kenneth and Evelyn lived in a Mixtec village. Together they analyzed the language and eventually, with the help of Mixtec speakers, translated a New Testament into that language. Kenneth completed his PhD studies and went on to become one of the foremost linguists of his day, pioneering in many aspects of the science of descriptive linguistics. Evelyn was right beside him. She was not only his life partner, but also his intellectual companion, understanding and stimulating his thinking, but never seeking to rival him. He was the theoretician; she helped to clarify and teach. Kenneth served as president of the Summer Institute of Linguistics (now SIL International) from 1942–1979. For many years, they divided their time between their work in Mexico, Kenneth’s teaching at the University of Michigan, and their teaching at the Summer Institute of Linguistics school that grew out of Townsend’s first training program. Evelyn taught phonology (the study of sound systems) and later grammatical analysis, planning the curriculum and managing the teaching staff. She and Kenneth coauthored the book, Grammatical Analysis. She is fondly remembered by former students for a pragmatic teaching approach. Evelyn had a remarkable ability to balance her teaching with caring for Kenneth and for their three children – Judith, Barbara, and Stephen – who joined their parents in their travels. In addition to teaching, Evelyn analyzed previously unstudied languages and guided others in their analyses of languages. 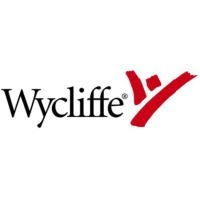 The bibliography of the Summer Institute of Linguistics (SIL), Wycliffe’s major partner, lists more than four dozen publications that Evelyn authored, co-authored, or edited. While Kenneth and Evelyn delighted in their study of linguistics, their focus was always on Bible translation. They wanted to help others understand how individual languages worked so they would be better equipped to translate God’s Word. Evelyn consistently combined her linguistic contributions with her support of Kenneth, making his life run smoothly and helping him to enjoy social interactions that would otherwise be outside his comfort zone. Her warm, extrovert personality balanced his scholarly, introvert tendencies. Kenneth traveled often, and Evelyn accompanied him on many of his trips. They participated in linguistic workshops for Bible translators and spoke at linguistics conferences on nearly every continent, building bridges with government and academic groups. They also led in starting SIL schools in Australia, England and Germany. When grandchildren came along, Evelyn and Kenneth enjoyed taking them on trips abroad where they introduced them to different languages and cultures. Kenneth went to Heaven in December 2000, shortly after their 62nd wedding anniversary. By then there were great-grandchildren for Evelyn to enjoy, and she continued to welcome guests and encourage people with the same kind, open personality she always had. A memorial service will be held Thursday, June 9th at 1:30pm at First Presbyterian Church, Duncanville, Texas. The Pikes – both of them – were amazing and gracious people. Thanks for the great post on Evelyn. It amazes me how God can use such ordinary people for extraordinary purposes. And even though they did those extraordinary things, they remained ordinary and real people. They encouraged many people, and helped open the doors of hard-to-reach places for others to take the Word. SIL for us would not be SIL if it hadn’t been for couples like Ken and Evelyn. I do not know how I would have been able to crack the upstep-downstep tone system of the Izi-Ezaa-Ikwo languages in Nigeria. Ken invested three months of his life in teaching us in Nigeria. I simply find no words to adequately express my appreciation for this couple and what they meant for those crucial years of analysis in Africa, both linguistically and spiritually. 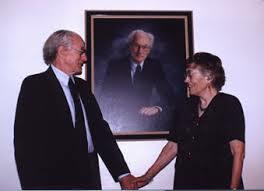 I still see Ken temperamentfully direct the great hymn at the international conference: “Every person in every nation in each suceeding generation has the right to hear the news that Christ can save…” Both Ken and Eveline to us were representatives of Christ himself – full of grace and compassionate love expressed through their lives and scholarship.